The Revo SuperConnect in Matt White / Silver is a modern classic and arguably the world’s most acclaimed digital radio. The ultimate expression of REVO’s design and engineering philosophy and the culmination of everything we have learnt in 10 years of award-winning product design and development. 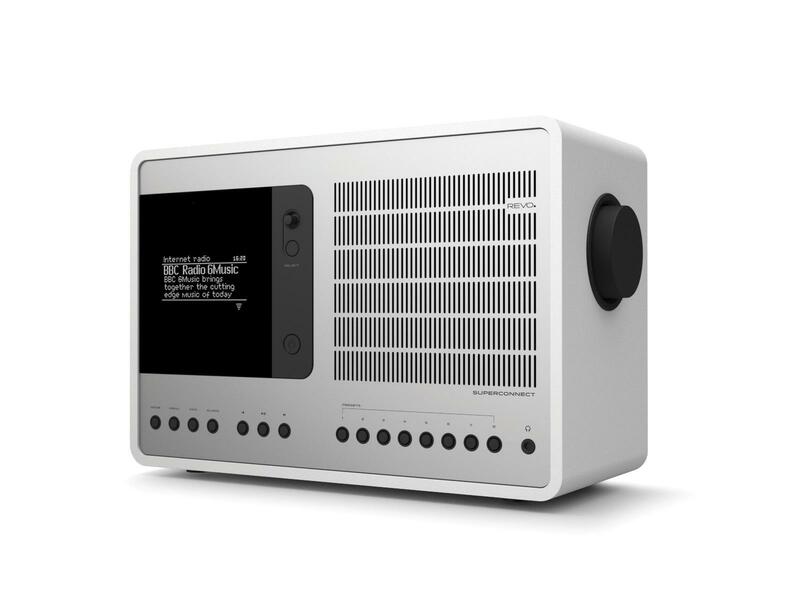 Functionalism meets craft and technology, a ‘connected’ radio that delivers over 30,000 radio stations from around the world and a host of next-generation features and functionality. The Revo SuperConnect comes in a variety of different finishes and colour options, click here to see our full range of Revo Products. It's everything and more that you'd expect from a radio of this size. Stunning to look at with a solid full-bodied output. It's hard to believe such a sound can come out of a radio this size, amazing. Infact, there isn't a single fault that I can find with any part of this product be it the software, the bluetooth linking, the material quality, all great! Brilliant product, the small joystick to navigate the menus is a great idea although a bit fiddly at first to get used to. Otherwise, Sound quality is better than I was expecting and bluetooth pairing works great with my samsung. Would recommend to anyone looking at a small premium quality radio system.